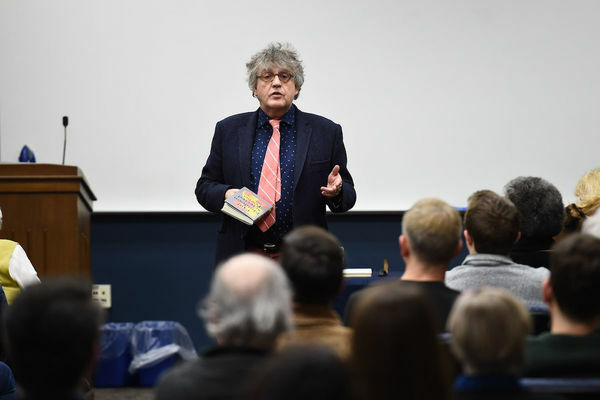 World-renowned poet Paul Muldoon’s reading at Notre Dame on January 27 proved to be yet another instance of the centrality of the Keough-Naughton Institute to the phenomenon of the “worlding” of Irish Studies. 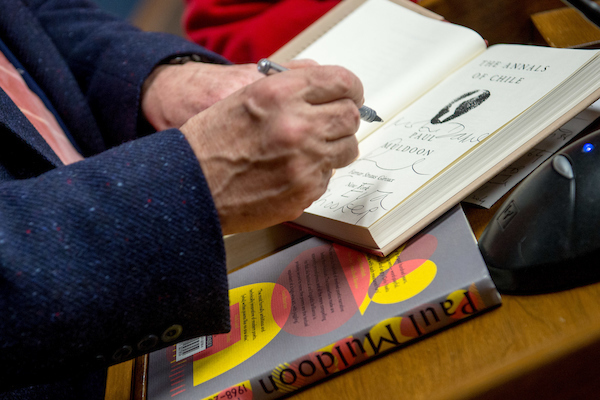 Within the standing-room only crowd at the McKenna Conference Center, one person stood out: Wit Pietrzak, Assistant Professor of English at the University of Łódź, Poland, who was visiting Notre Dame as an Institute short-term fellow. Pietrzak studies and teaches contemporary Irish, English, and Polish poetry and literature, with a particular interest in the Irish poet W.B. Yeats, on whom he has written a monograph to be published by Palgrave this year. His current research topic is Muldoon and his poetry. On his part, Pietrzak was thrilled to receive the invitation. For research for his Muldoon monograph, Pietrzak used his two weeks at Notre Dame to immerse himself in the Irish Studies collection of the Hesburgh Library. With the assistance of Irish Studies Librarian and Keough-Naughton Faculty Fellow Aedin Clements, he delved into a collection he calls “stupendous.” In addition to the library’s collection of Muldoon analysis, a particular treasure was the file Clements supplied of yet-uncatalogued Muldoon materials, including interviews with the poet and the typescript of the poem “The Bangle (Slight Return),” later published in Muldoon’s 1998 volume Hay. 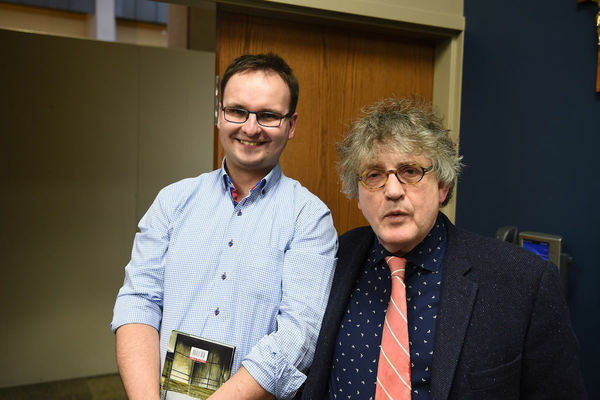 Of course, the real delight was meeting Muldoon himself and discussing both the possibility of Pietrzak translating his poetry into Polish and his theories on the notion of empathy in Muldoon’s poetry. and the spots of green grass where thousands of Irish have lain. . . Originally published by Mary Hendriksen at irishstudies.nd.edu on February 23, 2017.